It would be hard to find another home like 1109 Stouchsburg Rd. 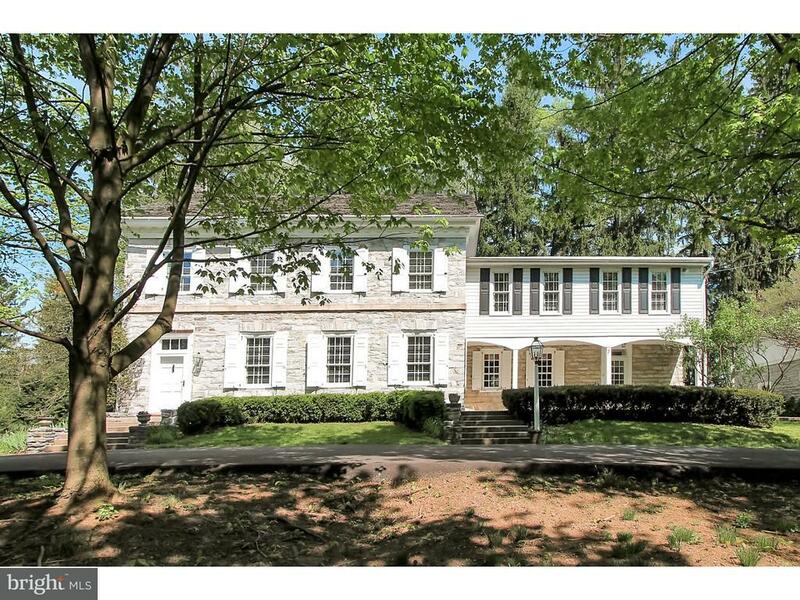 The main portion of the home was built in circa 1750 and the rest circa 1790. The original details have been preserved in this 3, 494 sq ft home with 5 bedrooms & 2 & one-half bath that is thoughtfully updated with modern amenities. The formal entry to the home has the original door and hardware that leads to a spacious LR with deep windowsills. Or you can use the side entry to a bright eat-in kitchen with custom cherry cabinets, granite counter tops, custom built in dishwasher, double ovens, and pantry. A Dutch door leads to a spacious screened in patio from the kitchen. The large formal DR has a beautiful wood plank ceiling & built-in closets and cupboards. Continuing on the first floor is a family room with fireplace & built-in bookcases & bringing you to the first-floor office that has a Dutch door that exits to the outside of the home and built-in bookcases and cupboards. The second floor holds the master bedroom with an adjacent bedroom that can also be used as a sitting room and large bath with tiled walk-in shower and floor, and cherry cabinets with Corian countertops. The first bedroom provides an option for a second-floor office with built-in desk and bookshelves. The 5th bedroom can be used as an in-law-suite or a master bedroom with its own private bath with tile surround tub and a stand-up shower and private stairway. There are 2 other bedrooms with lots of closet space. A large second-floor laundry as an added convenience has a built-in cedar closet. The basement is partially finished with a bar area & an area for games. This home is incredible with extra deep windowsills, custom blinds, & window treatments, wide plank cherry & oak wood flooring throughout. The updated HVAC system includes 3 heat zones and 2 A/C zones. There is a Sanuvox system to prevent mold & a water purification system. The property itself is delightful with a private pond, fantastic in-ground pool, & pool house. The outbuildings are also original with a summer kitchen that has a timber ceiling, & electricity plus a carriage house is perfect for storing your lawn equipment & for projects. It also has a small stall for animals. There is a great, over sized two car detached garage for your vehicles. This is a home that has been lovingly maintained & is a joy to see. Make your appointment for a personal tour today.